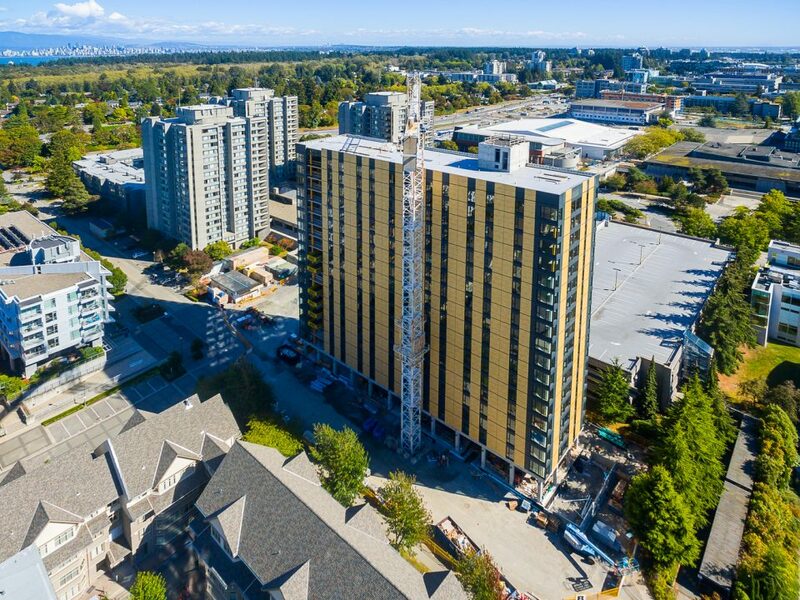 On the University of British Columbia’s campus in Vancouver, a new record-setting wood structures highlights the many advantages of a growing trend: vertical timber construction. Brock Commons Tallwood House is the highest of its kind to date, providing housing for over 400 students. 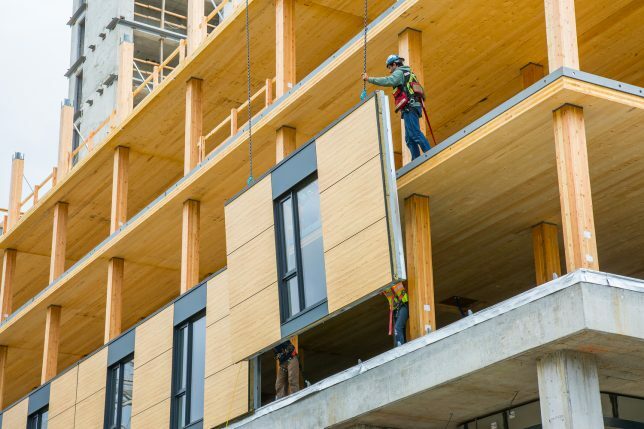 The Canadian firm behind its construction, Acton Ostry Architects Inc, says that using wood allowed for a much faster building process. Offsite testing of wood-to-wood connections and structural stability meant less time onsite spent figuring things out. Combined with prefabrication techniques, these approaches helped the builders finish the tower in just 70 days. In addition to cost and time savings, wooden structures like this one are lighter weight, requiring less energy input during construction while also making them more flexible and resistant to earthquakes. 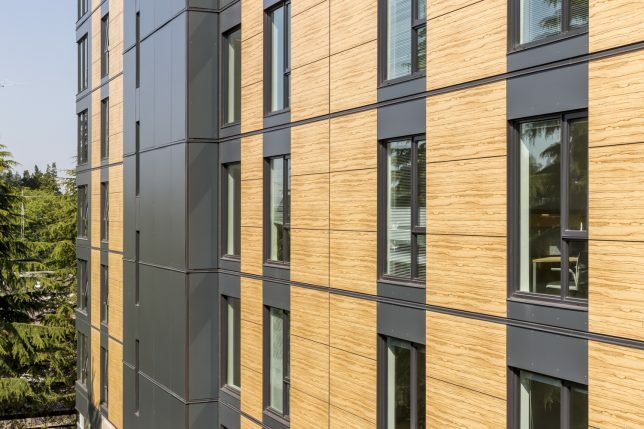 Timber buildings are also famously good at standing up to flames – wooden columns and beams will char in an inferno, and that charred surface can actually stand up longer to heat than exposed steel. While steel heats up and buckles, wood first loses its water weight, then chars and resists the flames. Even when encased in concrete, rebar can heat up, buckle and bend. Sustainable forestry also enables them to sequester carbon while using a renewable resource — wood buildings like this open the door to carbon-neutral or even carbon-negative projects. Use of glue-laminated beams and columns also allows thinner trees and offcuts to be used in the construction process, reducing waste and growth time for harvested plants. Some concrete was still required for the elevator cores, metal was needed for connections, and windows, of course, required glass. Still, compared to steel-framed structures, the amount of these materials used was dramatically reduced. 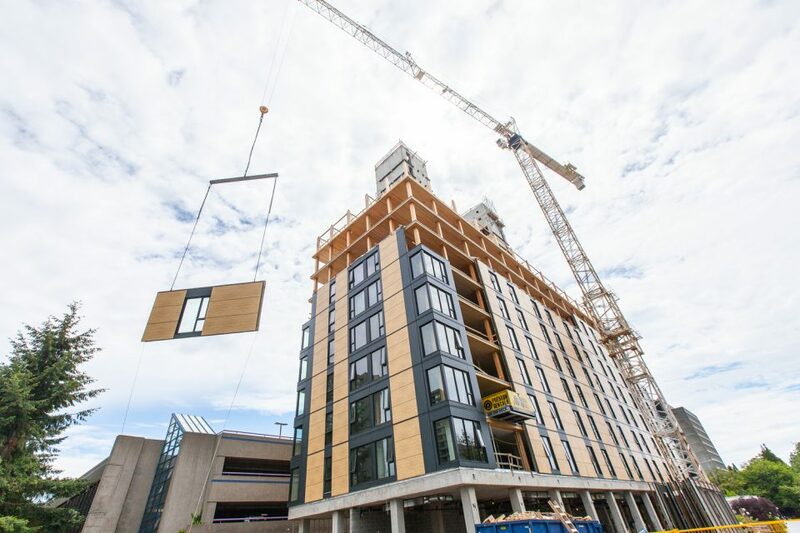 And this project is not alone — around the world, forward-thinking architects and developers are beginning to realize that wood is a useful material for building tall.